By the time the church closed in 1964, and was taken over the government, it had reached a state of pretty bad disrepair. 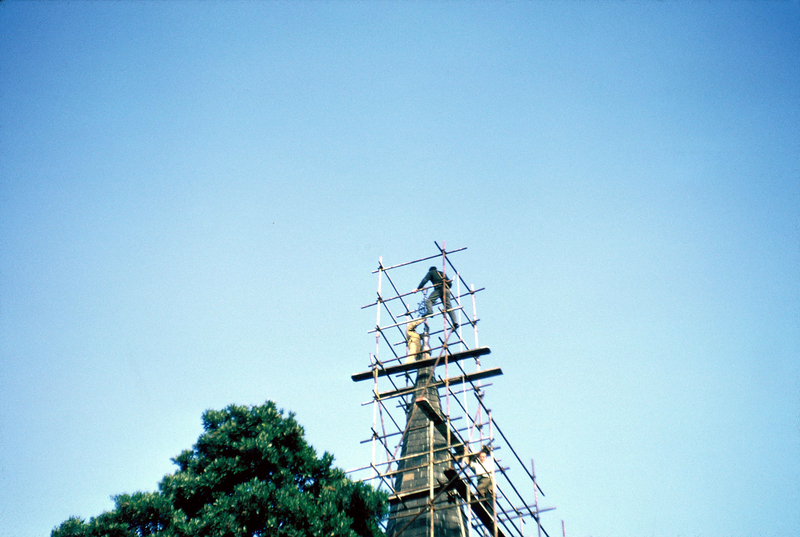 As part of the restoration of the church completed in the late 1960s by the Ministry of Works, one of the tasks was the replacement of the beautiful floriated cross, which had once been on the top of the spire. The old cross has never been found, as far as I am aware. Jim Bentall, the first architect to work on the 1960s restoration of the church, recently told me about how he organised the reproduction of the spire cross. Old photographs of the church were studied and using triangulation it was worked out that the cross must have been almost 6 feet tall. 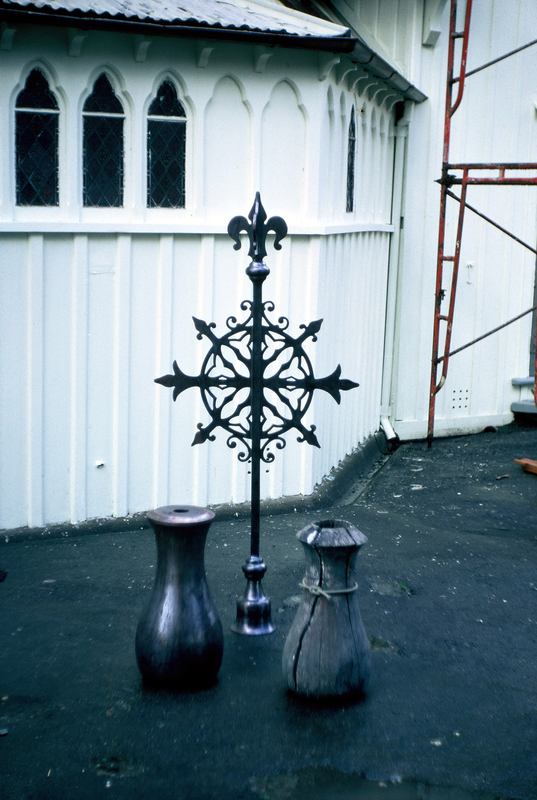 An exact replica of the cross found in the photographs was achieved by projecting a image of the cross onto the floor and then tracing it. The new cross and its base was then cast in bronze, and added to the church when the slate was being added to the spire. Images by Jim Bentall, 1969. The first image shows the cross, plus the new bronze base for the cross and the old wooden base, which was taken down from the spire. Images copyright Jim Bentall, not for reproduction. Previous Previous post: Where is the foundation stone?